Warehouse 49 is destined to be a gaming bar and E-Sports center where gamers, nerds, and geeks alike can feel safe and have a place designed specifically for them to express themselves. Building upon the roots of arcades and gaming cafes we will be taking the gaming center to the next level by not only having a place to play games (of all types) but also by serving great food and drinks. We want to thank you all for supporting us while we find our way through the crowds of people who still think gamers are a bunch of nerds who are antisocial and live in their parents basement. Never have we ever felt like we were back in high school. But the times are changing and we are starting to open people's eyes to what gaming actually is; a social and often team based activity filled with supportive friends. The longer we are on this journey the stronger we can feel that we have been needed by our community. The Alaska gaming community has been craving a better, more professional gaming scene and we have put all our efforts into providing for that growing niche. 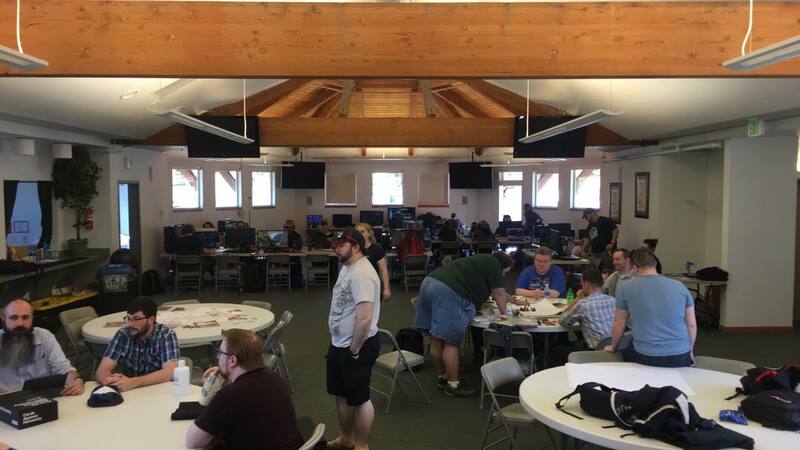 Not only have we been working with the gaming community but we have helped many local organizations in the process by benefiting them with our events. 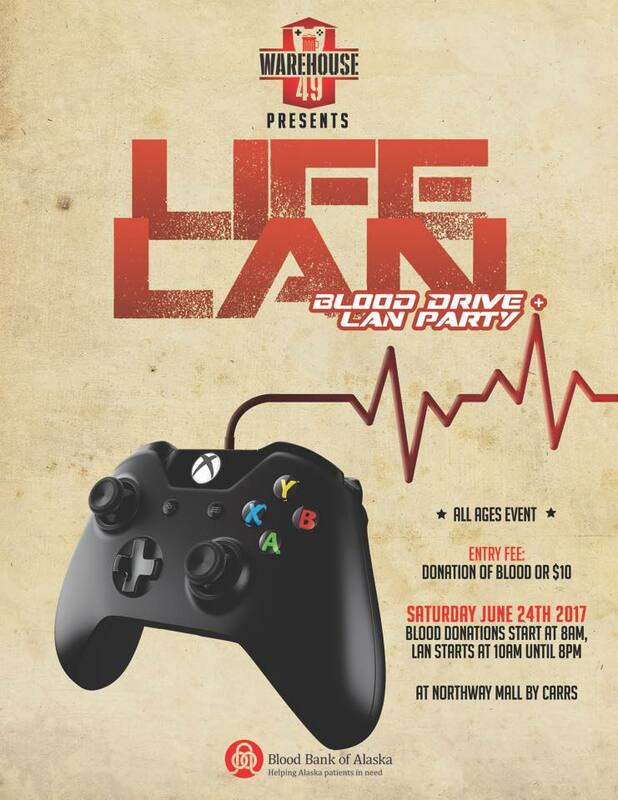 For example, we worked with the Blood Bank of Alaska for our event, LifeLan, by making the entry fee a donation of blood. We also hosted a Nerdy Speed Dating event where the entry fee was donated to Abused Women's Aid in Crisis. We look forward to continuing to help grow and strengthen the Alaska gaming community as well help the local organizations who benefit Alaska as best we can. Patreon allows people of any financial background to be able to support Warehouse 49 in a way they feel comfortable with. Also unlike the VIP packages we offer, you can pay a little each month instead of all upfront. If you wish to pay upfront for a VIP package and get all the benefits right away you can find more information Here. You are helping us host great LAN parties. The bar will cost nearly 1 million dollars, so that will have to take investors and other sources of funding, while we work on that we still want to promote gaming in the community. All money raised will go to making the LAN events we host better and to make our reward tiers benefit you more. 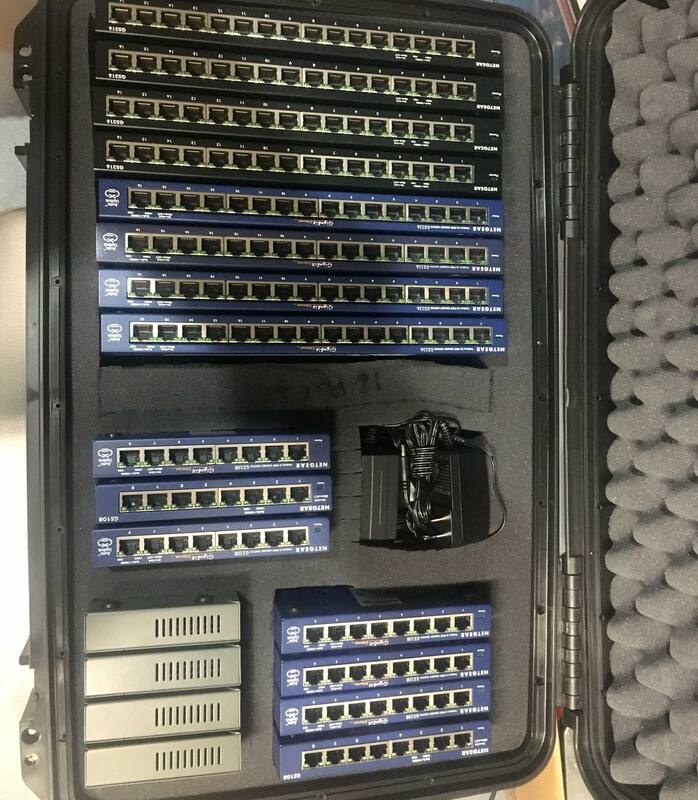 There is a lot that goes into a LAN event like power rental, venue rental, switches, ethernet, tournament prizes, gaffers tape, and more. 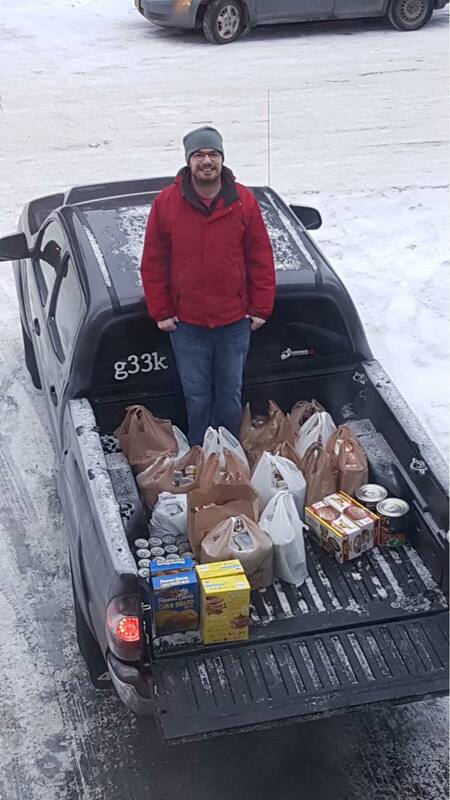 Your help also means we can host more charity events in support of awesome local organizations. You are taking the first steps to help us grow. 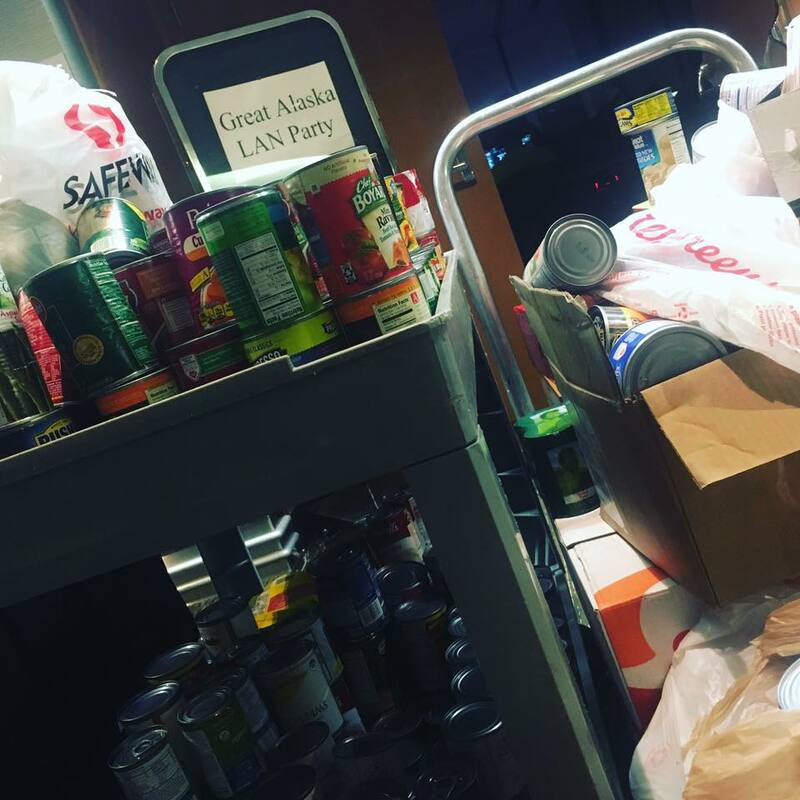 Running LAN events takes a lot of money and any little bit helps! There is not a lot $1 gets you these days but while the economy is tight we appreciate you letting us have that $1. We appreciate you! We will hook you up with 4 Warehouse stickers at our next event. Access to monthly Google Hangout chat where we can talk about just about everything 1 - 3 hours. Invites will go out through Patreon. We will hook you up with a WH mouse pad at our next event. Able to cut the line at events. 50% Discount to any ticketed WH event. We will list you as a supporter on each of our events. We will hook you up with a Warehouse T-Shirt at our next event. We will hook you up with 3 drinks (Soda, Water, Energy Drinks) at our events and some events we are part of. Free entry into every WH event. (New for 2019) Half off rental for gaming computers at LAN events. We will list you as a supporter on each of our event pages. We will also list you as a supporter on our website. 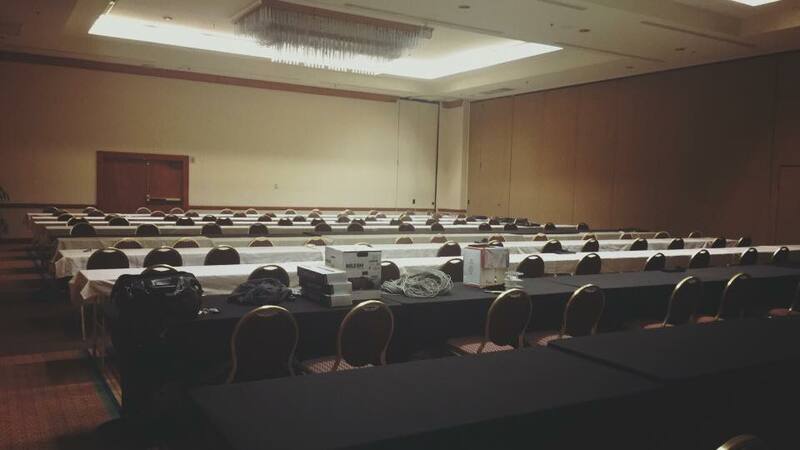 LAN Events where there is space you can sit next to the admin table. Access to private Discord channel if requested. Custom Discord group highlighting that you are a Multipass holder. Personalize thank you card at our next event. (NEW for 2019) Free access to gaming computers at LAN events. 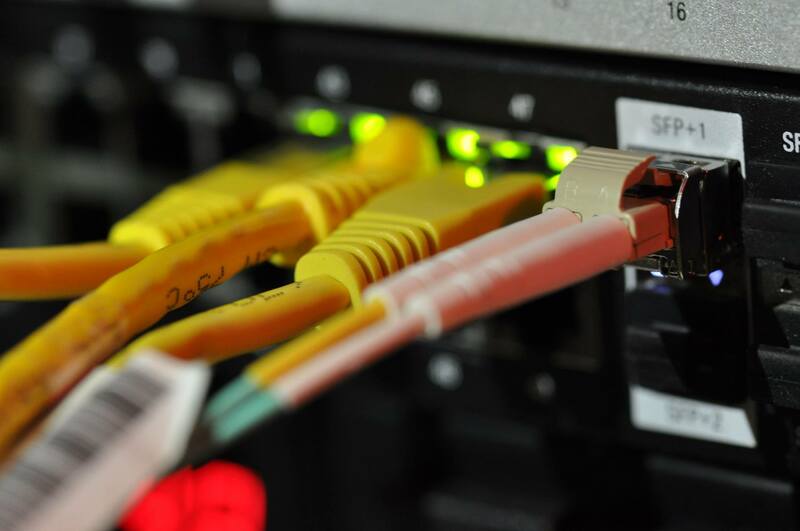 (NEW for 2019) 10Gbps access to LAN at large events. (NEW for 2019) Allow for public custom gaming server and remote options for managing game server. We will hook you up with a WH hoodie and T Shirt at our next event. Free admission to any ticketed events and tournaments we host. (New for 2019) 50% off gaming at our Pop-up Venue on the weekends. (New for 2019) 25% off VIP/Tabletop Rooms at our Pop-up Venue. (New for 2019) Free gaming at the Warehouse during the week. (New for 2019) Computer login account that saves your save games and all settings no matter which computer you sit at. (New for 2019) Free use of the gaming as a service. Free gaming at the Warehouse 49 Pop-up Venue. Free use of the gaming as a service. One free use of the VIP/Tabletop Room once per month. Patreon Invite-only 12 hour LAN party celebration. After reaching this milestone we will host an invite only Patreon celebration to thank you for your continued support. We will provide some pizza, soda, and some snacks to all.